Located away from the hustle and bustle of the Adelaide CBD lies a historic and very neat pub and beer garden called Saracens Head Hotel on Carrington Street just off King William. Never heard of it? Neither have I until very recently was invited to dine here. You wouldn’t be able to tell from just looking at the hotel on the outside but once you step inside into the dining area you will be blown away by whole contemporary and neat the setup is. The space is very open and there’s plenty of tables and seating which I can imagine would be great for a function like a hosting dinner party or a birthday. There’s also a beautiful beer garden with a wood fire oven that the kitchen uses to bake all their fresh pizzas. It’s a pub and beer garden with a contemporary twist on both the decor and its dishes. All drinks and food were provided free of charge for the team. 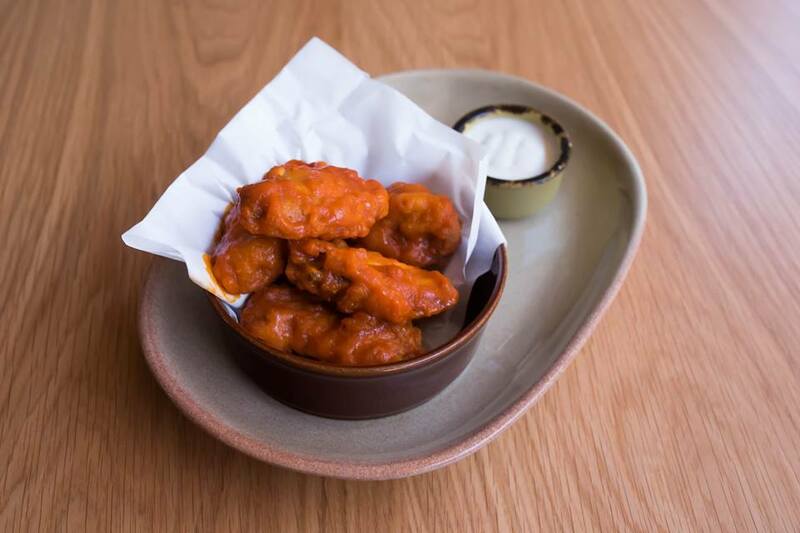 The Buffalo Wings were finger-licking delicious (sorry for the cliche but it really was!). The right amount of hot sauce without being too overly the top spicy. Franks hot sauce is a classic American hot sauce and is somewhat similar to tabasco but slightly more mild in my opinion. The meat was tender and the gorgonzola was a nice compliment to the wings that helped pulled back the spice level. The blue veined cheese was creamy and buttery with a good hit of salt. These wings were very good! They were very similar to the buffalo wings I had during my travels to the States and when I lived in Canada. 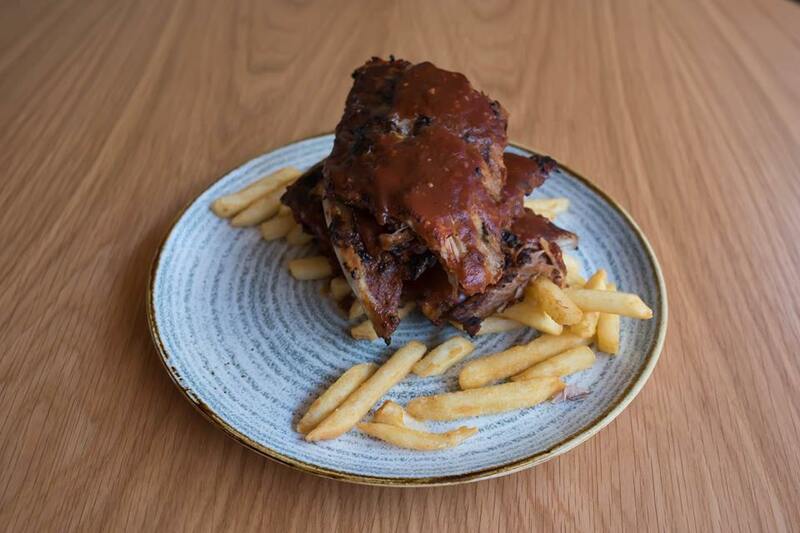 Seriously who doesn’t love Smokey American Pork ribs?! Unless you’re a vegetarian/vegan, there really is no excuse to not love ribs. The word smokey jumped right up at us and it was just something we knew we had to order. They were smoky, sticky and falling off the bone. Paired with the perfect cooked chips. We were in heaven. Simple and well-executed classic of an American dish. Porchetta is a traditional Italian dish made from salty, savoury and moist boneless pork. Sounds succulent already doesn’t it? 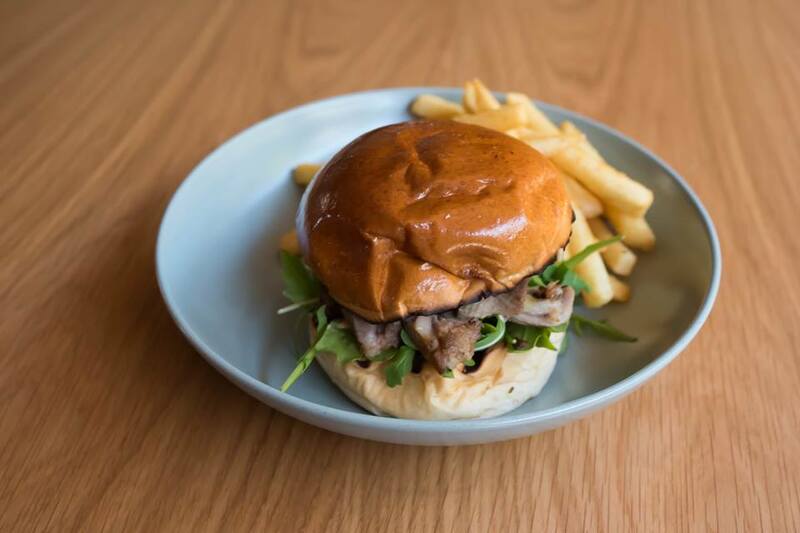 They are super generous with the porchetta in the Pork Porchetta Burger and it was beautiful. Moist and delicious. It paired well with the chilli jam which gave it a bit of kick of sweetness and spice. The brioche was delicious and buttery and the rocket provided a cut through the layers of sauce and porchetta. An all rounder solid and very indulgent meal of a burger. 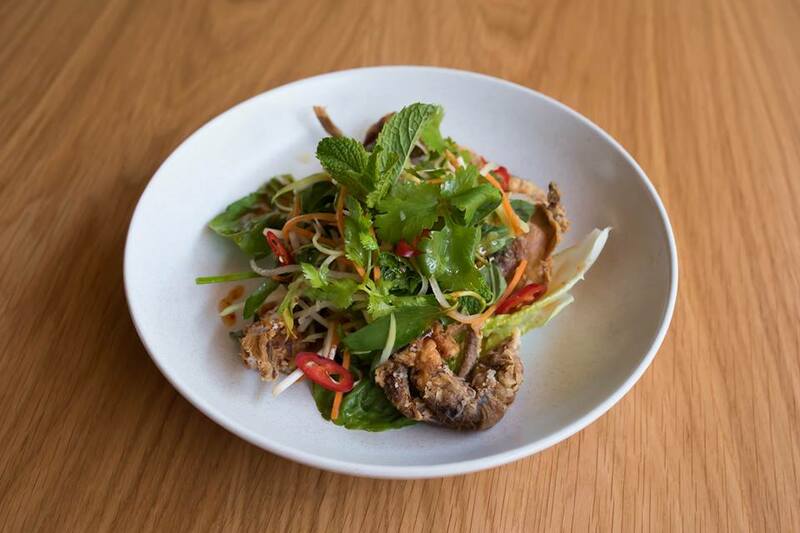 There are a few Vietnamese inspired dishes here with a modern Australian twist such as the Soft Shell Crab. The texture and flavour were crunchy and sweet. Perfectly executed. It paired well with a fresh mango salad that was vibrant in appearance and taste. The salad accurately emitted flavours that are quintessential to Vietnamese cuisine. There was a good balance of flavours from herbs such as mint and Thai basil that was all glued together of course by the fish sauce. There was a great combination of sweet, sour and salty with great contrasts in textures with the green mango and the addition of romaine lettuce. 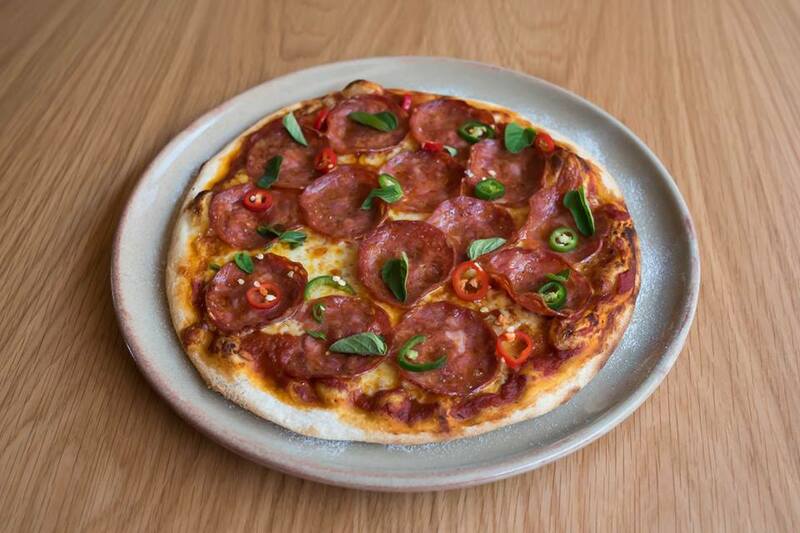 You could literally smell the chilli from this Spiced Pepperoni pizza once it hit the table. My tolerance of spice is quite high as I come from a family of big chilli eaters (I am Vietnamese in heritage by the way). So for me it was not a super spicy pizza but it had the right amount hit of chilli for comfortable eating. This dish was simple and just really simply tasty. The base was nice and thin but not too thin and the toppings were generous. 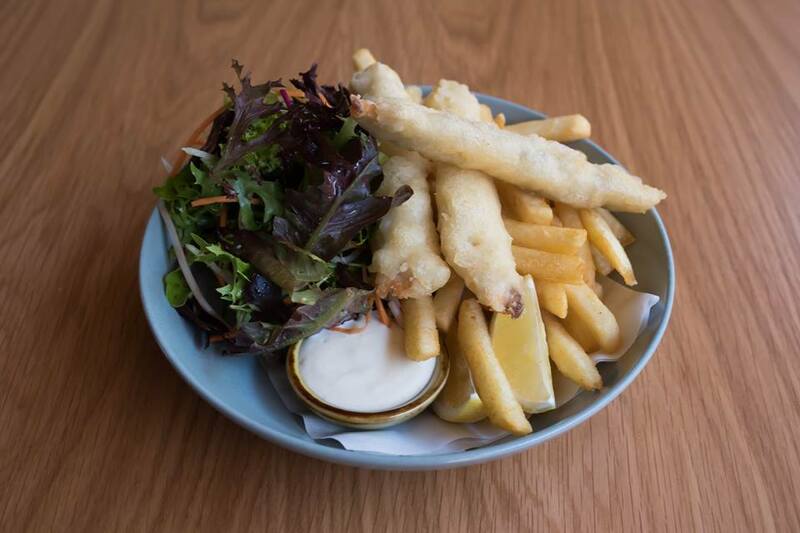 Another Vietnamese inspired dish with an Australian twist and Japanese edge was the Tempura Market Fish. I love tempura because it’s a much lighter and crisper way to eat deep fried food and this dish was no exception. Very little oil and the texture was super crunchy and the fish was moist and tender. The Vietnamese salad added a lightness to the dish and cut through its deep fried component. The wasabi mayonnaise I really liked! Really creamy and velvety with the right amount of wasabi for that kick. Thank you to the floor and kitchen staff at Saracens Hotel Head for looking after us and feeding us very well. The portions here are huge, it’s well priced and the quality of the ingredients used and the dishes overall are off the rails and insanely delicious. I definitely will be back and I will bring the whole crew with me.